Sometimes a factory tune doesn't do the trick. 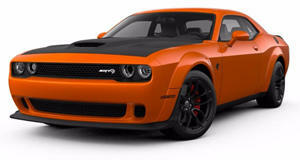 At the moment, the closest competitor to the Dodge Challenger Hellcat from the Chevrolet Camaro corner is the ZL1, which is down 57 horsepower over the top-trim Dodge and just barely loses to the big bad Cat. As another heavy muscle car foe with rear-wheel drive, a six speed manual, and a supercharged firecracker exhaust note, the poor Chevy can’t quite catch the drag-optimized Hellcat and its 707 horses of fury. To allow owners to avoid pain and humiliation without selling out and buying a Hellcat, John Hennessey and his team got together to do what they do best. After a visit to the Texas tuner, this Camaro leaves with the HPE750 kit, a simple tune from Hennessey that allows the Camaro ZL1 to crank out 750 horsepower. That’s just enough to make a rematch between the Camaro ZL1 and the Challenger Hellcat interesting. After rolling both cars out starting from second gear and accelerating hard all the way through fourth gear, the results are apparent. 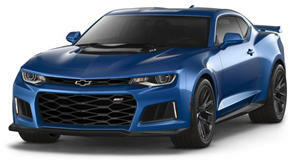 Put simply, Hennessey’s tune allows the Camaro ZL1 to become a Hellcat killer. With the HPE750 badges removed, a humiliated Hellcat owner wouldn’t even know what hit them. The best part of it all is the knowledge that the HPE750 kit is the entry-level upgrade from Hennessey, with 800, 850, and 1,000 horsepower options available for those who want to beat Hellcats and leave no room for doubt about who’s the drag strip boss.